I have been driving several cars and SUV in my life. I had a VW – Campervan before and travelled quite a bit with it. 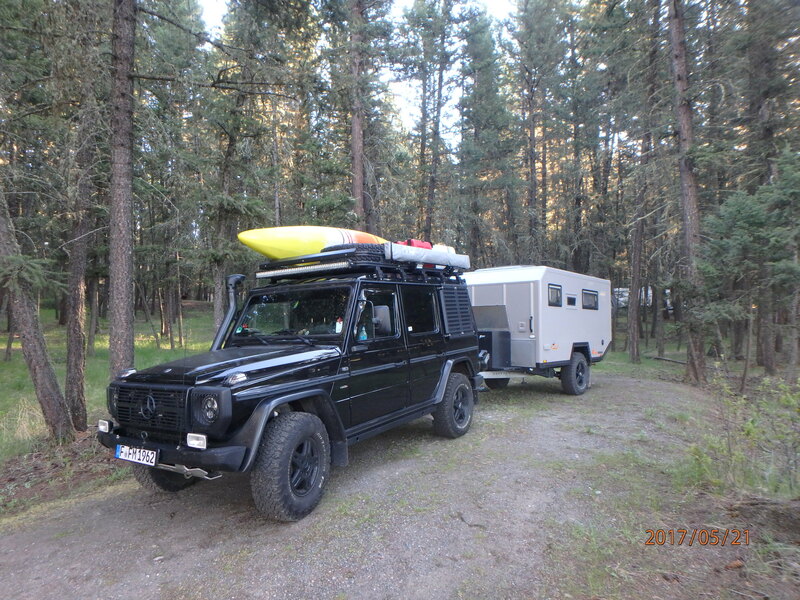 I had a Mercedes M-Class for some time and went tent camping with it with my family. 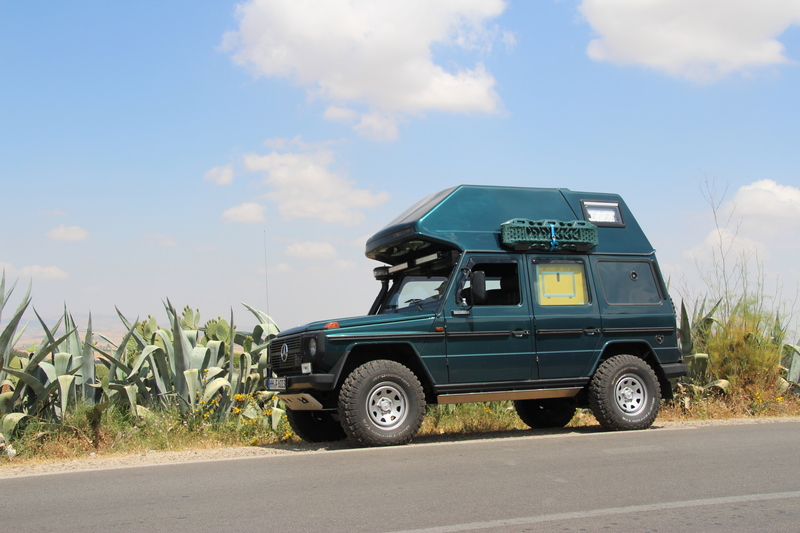 Ever since I was planning on overlanding for a longer time I had been dreaming about a Mercedes G-Wagon – a real off-roader ! So I got a Model 1995 some years ago an had a lot of work done on it. Finally I toured around the Baltic Sea with it which was a lot of fun. My next trip was supposed to go to the Egytian dessert – Gilf kebir – which at that time was impossible due to the political circumstances. 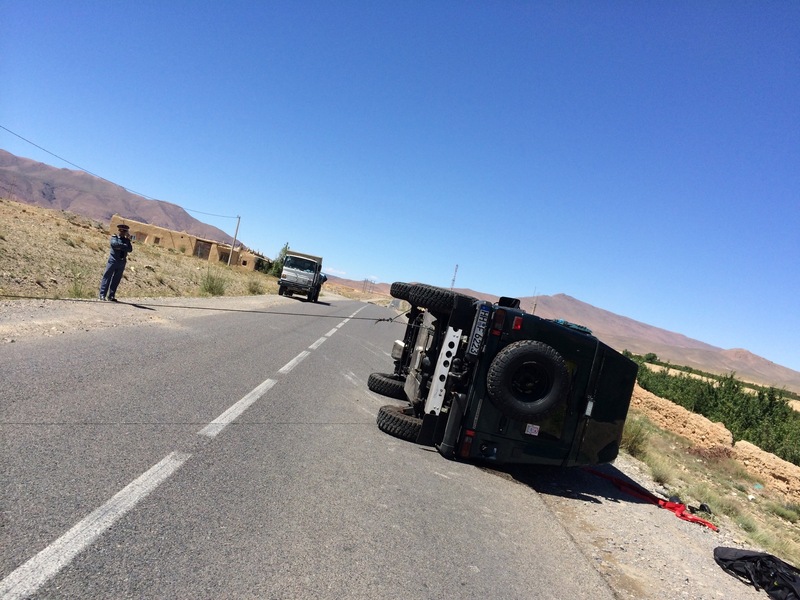 So I planned a trip to Morocco instead and unfortunately the vehicle crashed over there. So my new project would of course be another G-wagon but this time no work in terms of replacement of the roof should be done. The verhielte should stay as it is. In terms of sleeping I was seeeking some comfort as the trip should last 1 year at least and so I decided to look for a trailer – which I did ! So now I am on my way with this great setup and I never regretted the decision. The vehicle is a Mercedes 280 CDI „pure professional“ which means it is basically the military version of this vehicle upgrades for civilian use. It has 4 individual seats , 4-doors and a split rear door. In the interior I had one seat removed and put a drawer system in on one side and in the rear. On top of that I packed my gear into Ikea boxes which showed to be perfect as they are light, transparent (so you can see what in there) and fit perfect in the back in two parallel rows. There is a Waeco freezer inside that slides out to one side. The roof rack holds a second spare tire, the other one is attached at the rear bumper. Furthermore it holds three 20 L jerry cans, the highlift jack , a 270 degree awning and a kayak. The vehicle has double shocks in the rear because it is loaded to the max and has to pull the trailer . A snorkel was added and new BF Goodrich AT tires were put on prior to this trip. The trailer has the same wheels so that spare tires can be used on both trailer ans tow verhicle. There is a built in compressor for tire inflation as needed. All work was done by ORC in Germany. The trailer is manufactured in Germany . It is a small company that builds these trailers on demand with a basic structure and several choices for the inside.